IMPA Signage, measuring 30x40" and 40x60". Archival Inkjet Prints on Enhanced Matte Paper, Adhered to ½" thick Foamboard. 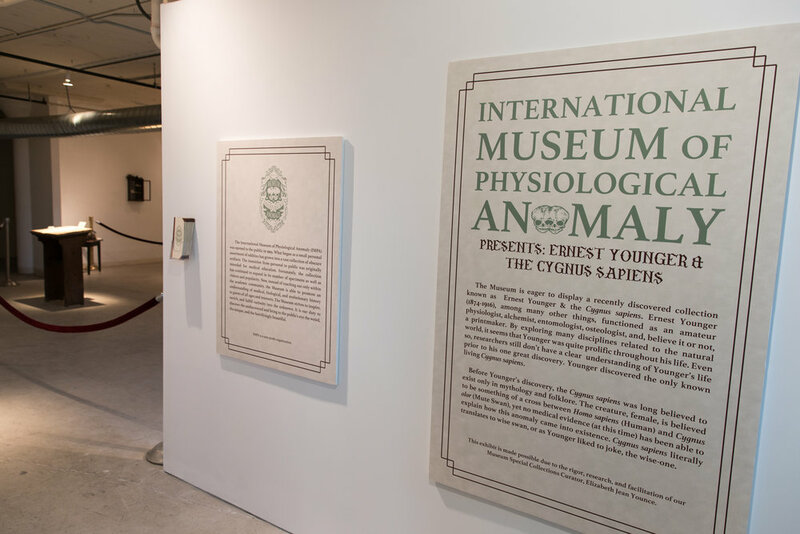 The International Museum of Physiological Anomaly (IMPA) Presents: Ernest Younger & the Cygnus sapiens was Elizabeth Jean Younce's Master of Arts (MA) Degree Qualifier Exhibition. 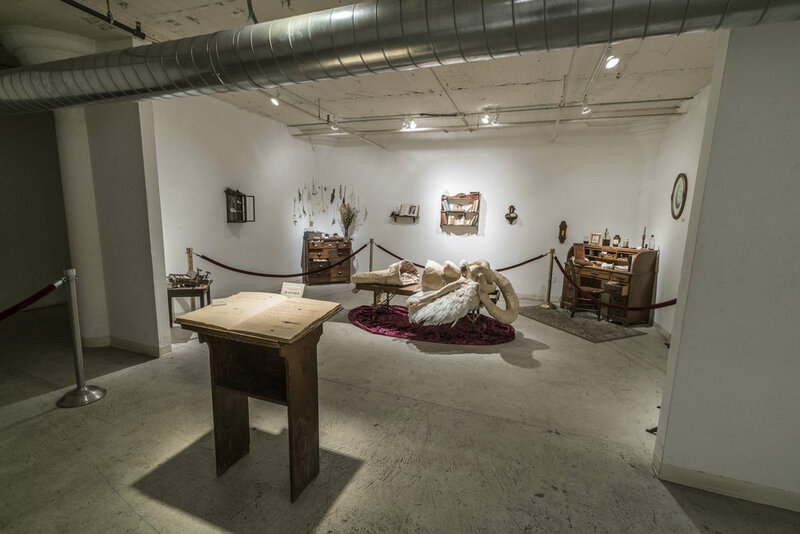 The Exhibition was displayed at Common Wealth Gallery in Madison, WI between the dates of February 23rd - March 3rd, 2017. 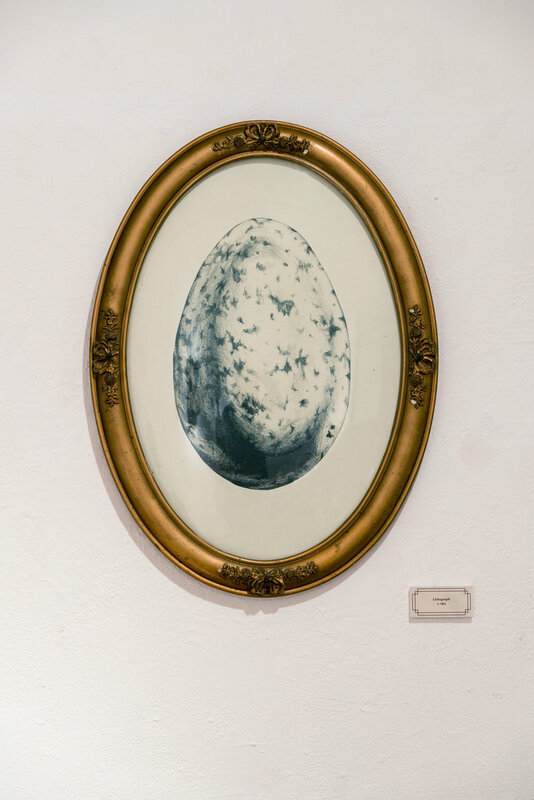 Advertisement for the exhibition communicated the event as a "One Night Only" pop-up Museum Exhibition and an opening reception was held on February 23rd. Museum signage displayed in the installation can be seen (above) at the very top of this page, and at the very bottom. 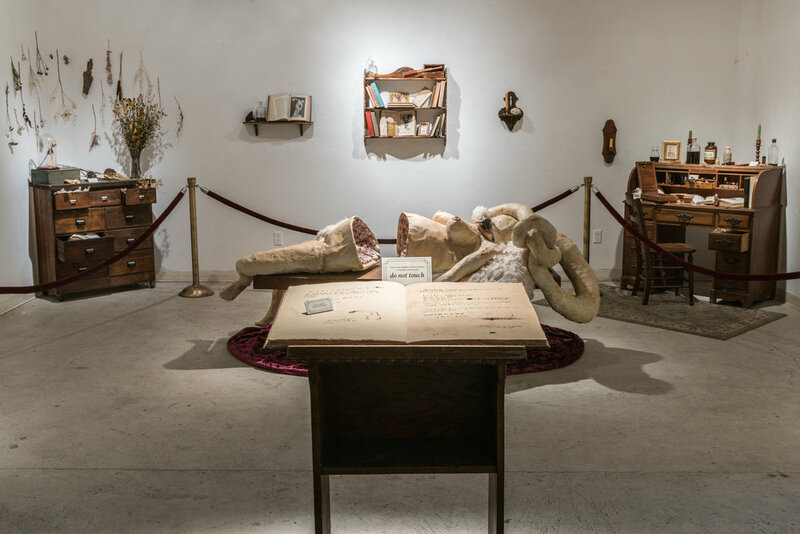 This installation combines Printmaking, Illustration, Book Arts, Sculpture, Found Object, and Narrative Storytelling. 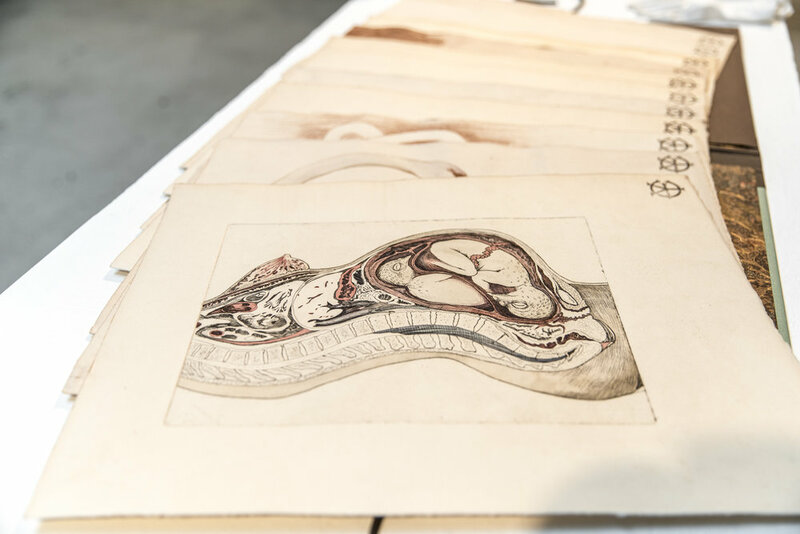 The prints are that of both Lithography and Intaglio. 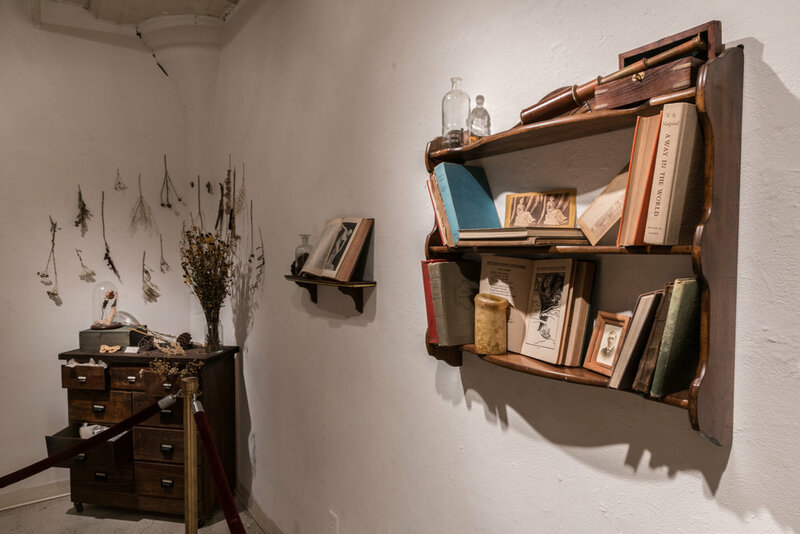 With the exception of the found object, Elizabeth Jean Younce handmade all of the artwork in the exhibition including the dark wooden frames and the Gold Foil Stamped folio. Book Arts assistance by Emma Bilyeu. 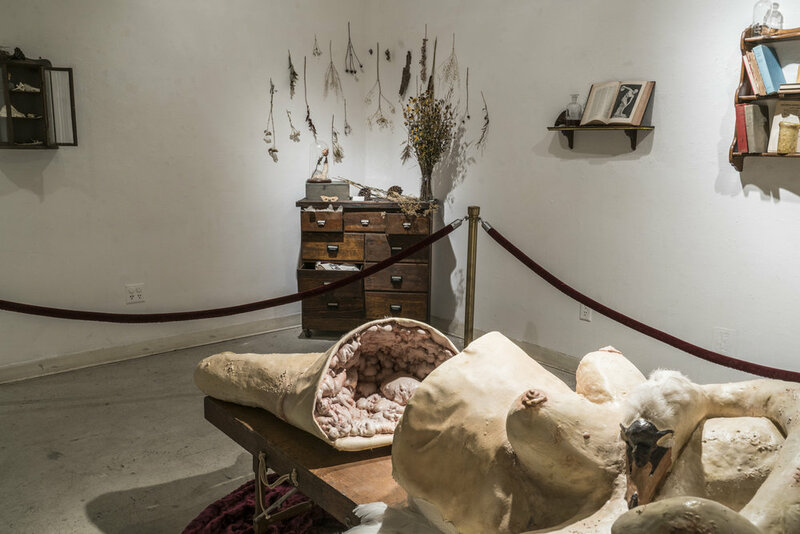 Most of the found object in this installation is part of Younce's personal collection, with the exception of the Desk and the 1910 Champion Co. Embalming Table. All parts of this narrative are pure fiction. Photographs by Gregory Vershow.